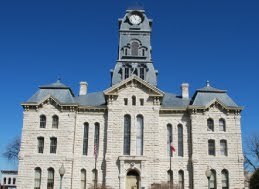 The Hood County Bar Association was founded in 2000. Since then, the organization has continued to provide services to our members and our community. Please contact us with ideas for this year's CLE courses! For a Membership Application, click here. To find contact information for local attorneys, visit the Members page. Welcome to the Hood County Bar Association! The Hood County Bar Association is a non-profit organization, founded in 2000, that is dedicated to providing services to our members and helping meet the needs of our community. Copyright 2013. Hood County Bar Association. All Rights Reserved.